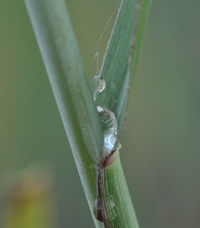 Switchgrass grows 3 to 6 feet tall and serves as an excellent wildlife cover in winter. Attractive, open conical seedheads turn golden-yellow in the fall and add another 1 to 2 feet. 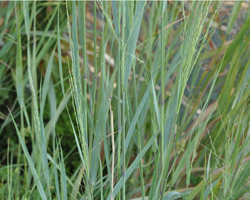 Switchgrass is fast-growing and its extensive roots provide excellent erosion control. It is best adapted to areas of moist soils, but grows under wide soil and climatic conditions throughout all lower 48 states. Takes full sun to part shade and occasional flooding. Good for creek banks and around ponds. 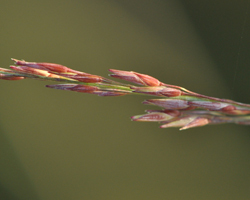 Dove, quail and turkey use Switchgrass as food and cover as do many song birds. 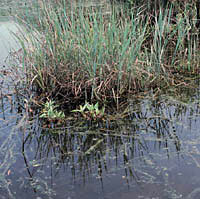 It is a larval food source for butterflies.